Bangladesh suffered nationwide power outage on November 1. As the local media reported that the widely electricity black out was due to technical problems in the electrical substations delivering electricity service from India, the state head is still yet to confirm the reason. The massive electricity black out started at around midday as reported by the local media. It had affected the population of 155 million including houses, airports, business infrastructures and even the government buildings. After several hours, the capital city, Dhaka’s electricity was restored and the officials hope that the country will restore the electricity power before November 2. As it is a weekend, not much of the industrial sector was affected, unfortunately, even hospitals did not escape the outage. The critical care units are able to keep up with generators, however the patients and health care professionals in the ward had to make do with the situation. According to senior power ministry official Masud Alberuni, the engineers are working hard to fix the problem with the electricity though he did not specify the real cause. He said that the power generating stations of the whole country had suddenly shut down one by one. This is the first time it happened since a cyclone had devastated their powerlines and electricity supply in 2007. 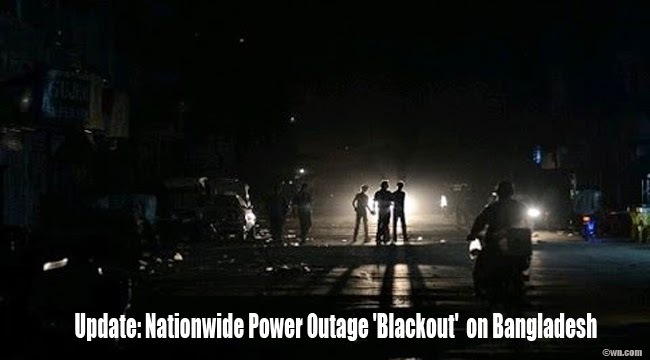 Those who live in the rural parts of Bangladesh had been used to the usual power outage and thought that the black out was one of those, they had no idea that it is a country wide outage of power supply.